Do you long to smell freshly cut grass and look out upon dew-covered greens whenever you want? How about driving your own personal golf cart to the first tee or clubhouse? 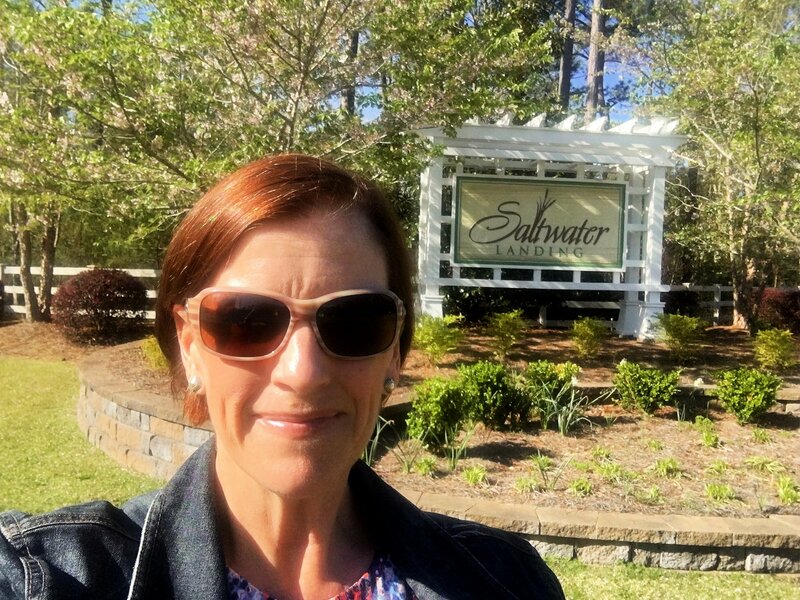 Living in a golf course community can be a dream come true for lovers of the sport, and home buyers in Southeastern North Carolina who wish to enjoy the lifestyle won’t be disappointed. 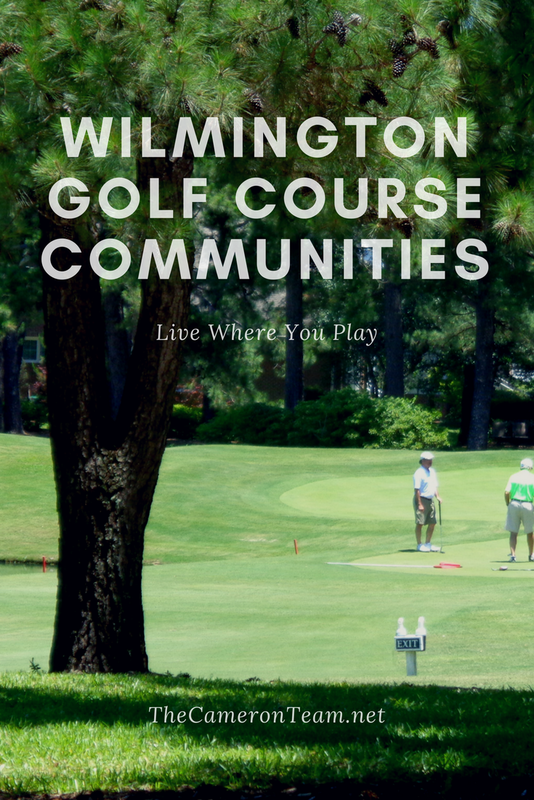 Here’s our list of Wilmington golf course communities. Please note: We have chosen not to include any communities that border Masonboro Country Club (The Cape, Linksider Townhomes). The golf course is for sale at the time this post is being written, and there’s been mention of the course being redeveloped as housing. If you’d like an update on this, please reach out to us. Beau Rivage Plantation is built around the Beau Rivage Golf Course & Resort, an 18-hole championship golf course designed by Joe Gessner and developed by Eddie Lewis. While many coastal golf courses are filled with flat terrain, Beau Rivage is known for its rolling greens, bunkers, and elevation changes up to 75 feet. The scenery is dramatic and the layout creates interesting play. Many of the homes in Beau Rivage Plantation were constructed between 1990 and the early 2000s. The newer homes have open concept floor plans, but most of the original floor plans lean toward a traditional style. They range from golf course cottages to large custom homes on half-acre lots, so there are options for most price ranges. Their exteriors are primarily brick, though there are homes with wood, vinyl, or fiber cement siding. All are surrounded by lovely landscaping and mature trees, making this one of the best communities for curb appeal. See homes for sale in Beau Rivage Plantation. Willow Glen is another community that borders the Beau Rivage Golf Course & Resort (see course description above), just south of Monkey Junction. The homes were built by Mungo Homes and H&H Homes in the 2010s. Many back up to the golf course. There are a variety of 1 (with FROG) and 2-story styles, all with stone/brick exterior accents and open-concept floor plans with popular interior details, like extensive molding, wainscoting, coffered ceilings, vaulted ceilings, tile backsplashes, and more. No two homes are exactly alike. See homes for sale in Willow Glen. 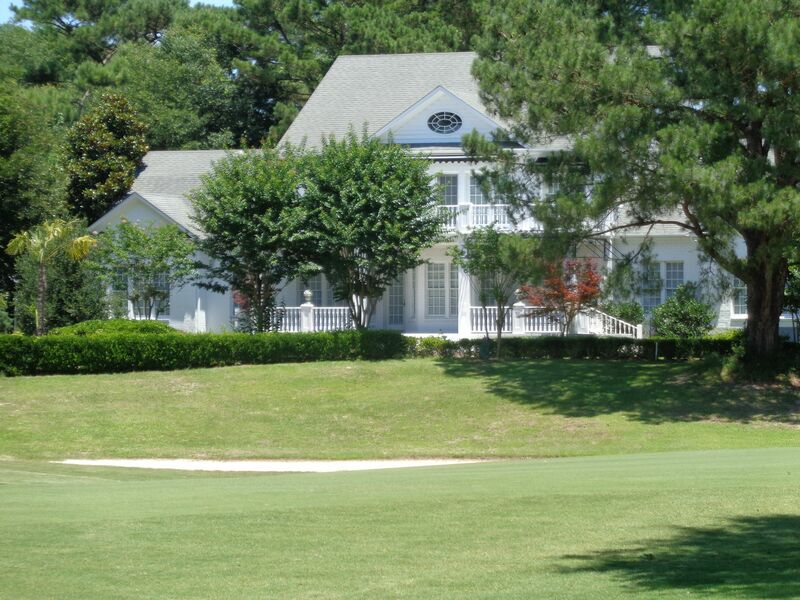 Country Club Terrace is a small community located along the golf course at the Cape Fear Country Club of Oleander Drive. This private club was founded in 1896 making it the oldest in North Carolina. The current golf course was designed by Donald Ross in 1926 and restored in 2006 by architect Kris Spence. It’s filled with mature pines and challenging greens, and ranked #12 in the state by NC Golf Panel in 2015. This is a very desirable area. Homes in Country Club Terrace don’t often come on the market. The community has a mix of older 1-story homes that have been lovingly restored and newer custom homes with a Colonial influence. Traditional floor plans with extensive molding, wood burning fireplaces, and wood floors are common. Due to the size of the neighborhood, most homes have golf course views. See homes for sale in Country Club Terrace. Cypress Island offers an incredibly private golfing experience. This community has its own 9-hole, par 3 golf course that’s available to only homeowners and their guests. It’s the perfect option for anyone who just wants to play a leisurely short game in their free time. The community also has a clubhouse, swimming pool, tennis court, and annual community golf tournament. There are 126 houses and 120 townhouses in Cypress Island, which was built out in the early 2000s. Exteriors are primarily brick with some vinyl mixed in and front-facing garages. The interiors have open floor plans, fireplaces, vaulted ceilings, and a variety of finishes, including laminate wood and hardwood flooring. 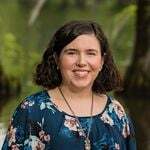 About half of the homes are located around the golf course or a large pond, and those that aren’t have cul-de-sac lots that back up to a wooded area. In addition to the community amenities, the HOA also covers trash removal, so it has a lot to offer residents. See homes for sale in Cypress Island. Inland Greens is built around the Inland Greens Golf Course. Like Cypress Island, Inland Greens offers 9 holes play to anyone who wants to work on their short game. However, unlike Cypress Island, this golf course is open to the public. 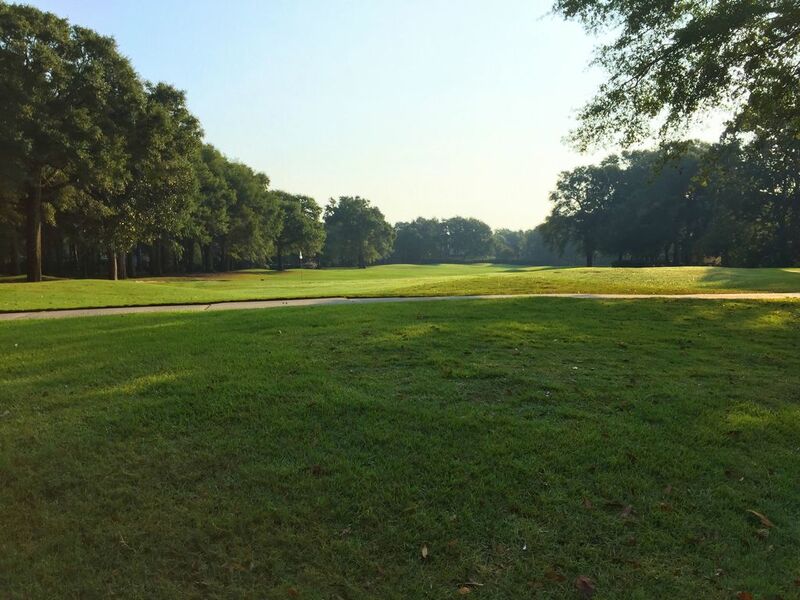 The course was originally designed by Dallas Harris in 1991 and had 18 holes, but in 2017, the City of Wilmington decided to convert the front 9 into a passive park and refurbish the remaining holes. It’s now a par-3 course with fresh grass and much more enjoyable experience. 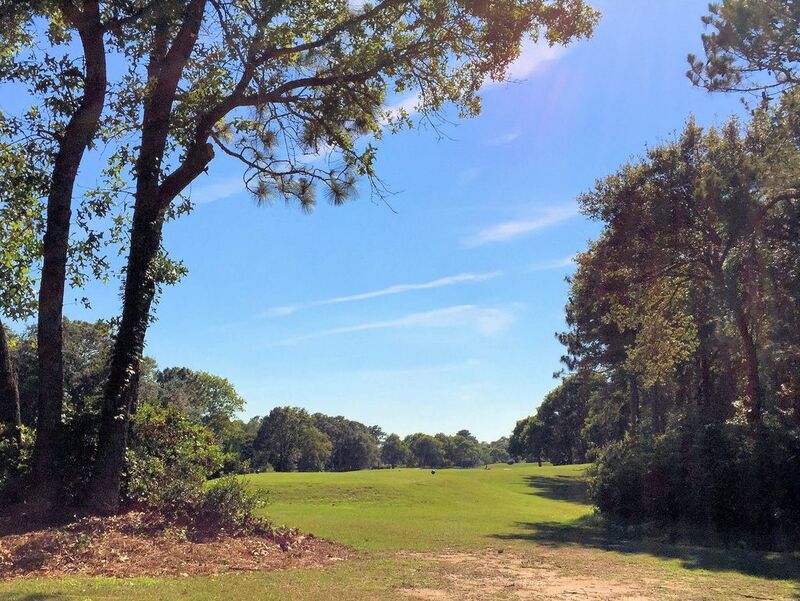 This is one of the most affordable golf course communities in Wilmington. It features townhomes and single-family homes that were built in the early 1990s. The townhomes have front-facing garages and courtyards that help create privacy. The interiors have similar floor plans with the kitchen right next to the main entrance, allowing the living room and sitting room to be at the rear of the home to take advantage of the views. The ceilings in the living room are vaulted and have skylights to allow in as much natural light as possible. The single-family homes have courtyard garages, open floor plans, vaulted ceilings, and skylights in the living room, as well. They’re slightly larger than the townhomes and on larger lots. See homes for sale in Inland Greens. The community of Landfall has not one, but two championship golf courses that total 45 holes of play. The Pete Dye Golf Course, Landfall’s original course, was completed in 1987. It has gently rolling fairways, white sand bunkers, and fresh water ponds. The Country Club of Landfall also has a course designed by Jack Nicklaus. 18 holes were originally built in the 1990s and 9 more were added in 2000. 15 of the original 18 holes have water features, making use of the natural saltwater and freshwater marshes. This makes the course exceptionally challenging and fun to play. Featuring two courses allows for multiple tournament events throughout the year, as well as lessons, clinics, etc. on a daily/weekly basis. Landfall is a master-planned gated community with over 1,700 homes and 5,000 residents. They range from mid-priced to luxury properties with some of the city’s most expensive homes located within its gates. Not all are golf course properties, but this community is very well designed. There are multiple green spaces and water features that properties overlook, and the landscaping is impeccably groomed, so the whole community is beautiful. 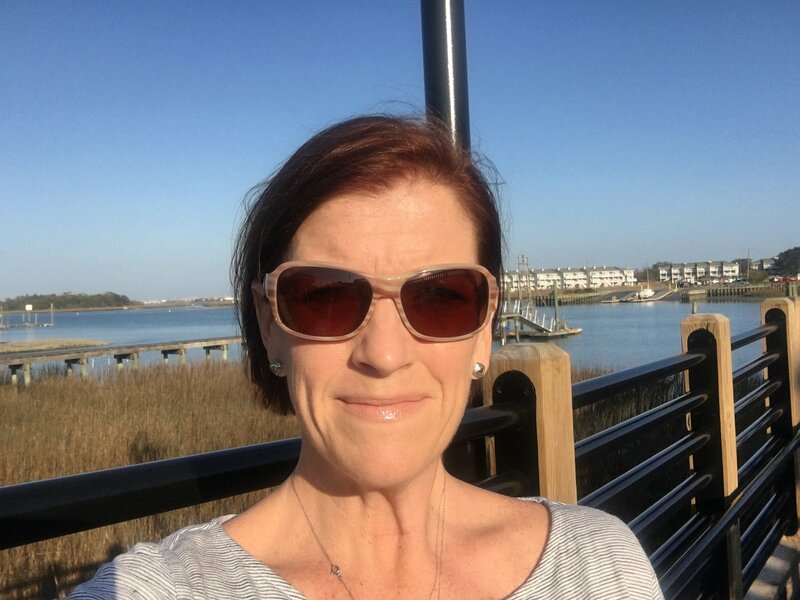 It’s one of the most prestigious communities in Wilmington. See homes for sale in Landfall. Located at the heart of Wilmington, Pine Valley Estates is built around the Pine Valley Country Club, a private 18-hole golf course of Bermuda grass fairways lined by towering long-leaf pines. It was originally constructed in 1965 but has been well-maintained over the years. Pine Valley Country Club prides itself in being a family-fun course with kid tees included. Most of the homes in Pine Valley Estates were built in the late-1950s to late-1980s with construction petering off in the 1990s. They are primarily brick ranches, though some two-story homes do exist. They are traditionally closed floor plans, but some homes have been renovated to an open concept. While the course is located at the center of the community, there are a lot of homes that do not sit on the course. Still, they are very affordable options for someone who wants to be in a golf community. See homes for sale in Pine Valley Estates. 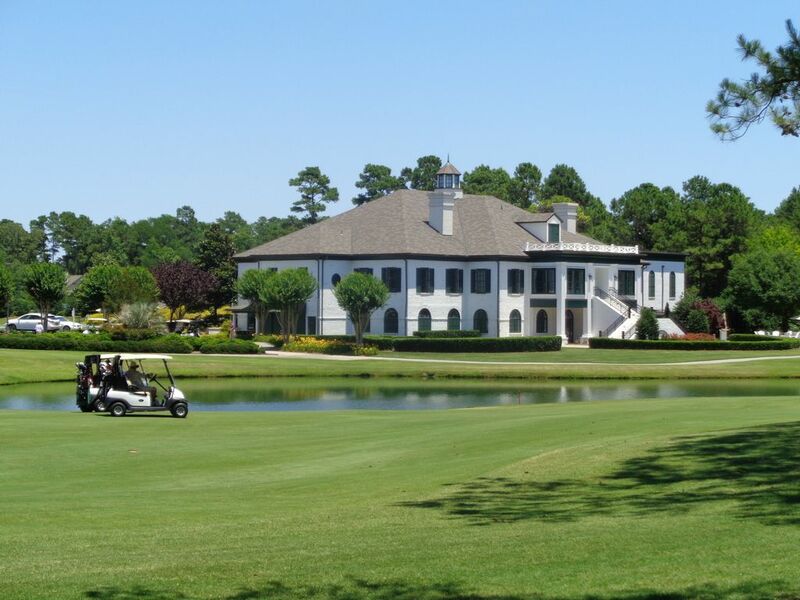 Porters Neck Plantation and Country Club is built around the Tom Fazio Championship Golf Course, which was named “#1 Coastal Golf Course in North Carolina” by Golf Digest. It originally opened in 1991 and has remained one of the top destination golf courses in Wilmington. It has hosted multiple tournaments and has 5 sets of tees to accommodate all skill levels. In 2018, it converted to bermuda grass. Porters Neck is a large master-planned community that began construction in 1989. Where to Retire named it one of the “100 Best Master Planned Communities in America”, but it has appealed to buyers of all ages. It has a wide range of home styles from Coastal to Southern to Low Country – it’s hard not to find a home that fits a buyer’s taste. 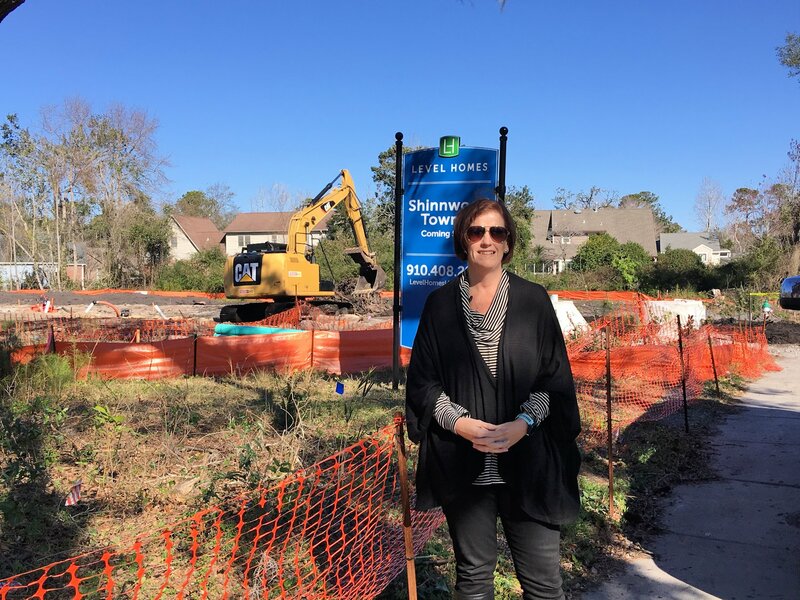 Intracoastal Waterway front, pond front, golf course front, creek front, and marsh front lots can be found throughout the community, so there are plenty of opportunities for views, and the landscaping is gorgeous. See homes for sale in Porters Neck Plantation. It’s important to note that golf course access is not always included with the purchase of a home in a golf course community. Residents may still be required to purchase a package through the clubhouse. Additionally, a package (not necessarily permanent access) may be included with the sale of one home in a community and not another. Make sure you do your due diligence before making an offer on a home in a golf course community. Of course, these are not the only golf course communities in our area. 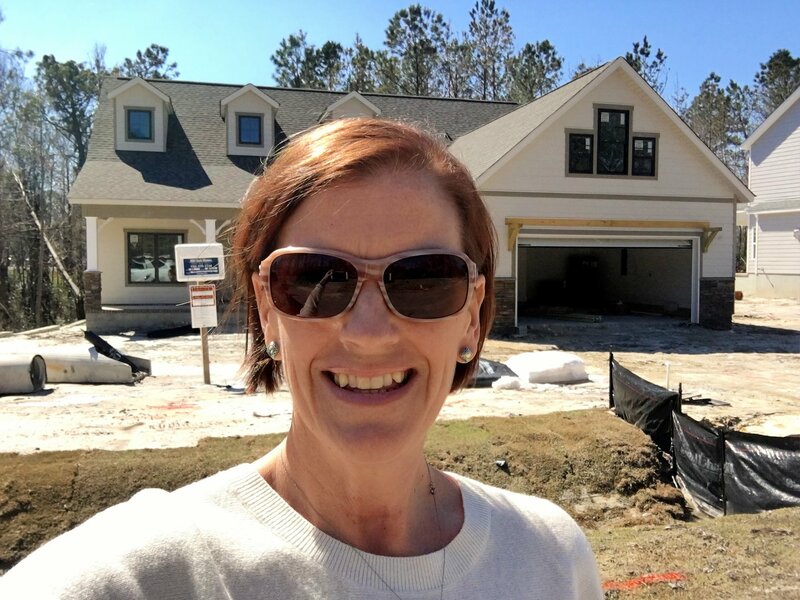 If you’re interested in communities in Brunswick County (Compass Pointe, Magnolia Greens, Brunswick Forest, etc. ), Pender County (Castle Bay, Olde Point, etc. ), or Onslow County (North Shore, Bear Trail, etc. ), please don’t hesitate to contact us. We’re happy to send you a list of homes for sale in golf course communities in each of these areas.